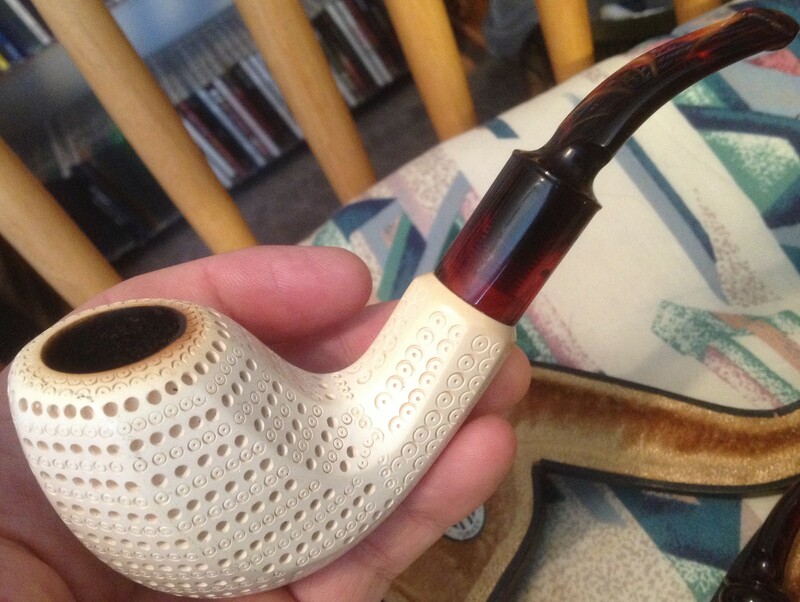 Having a bowl of Dark Fired Mixture in the refurbished Marco Poltronieri, about to start a busy weekend. 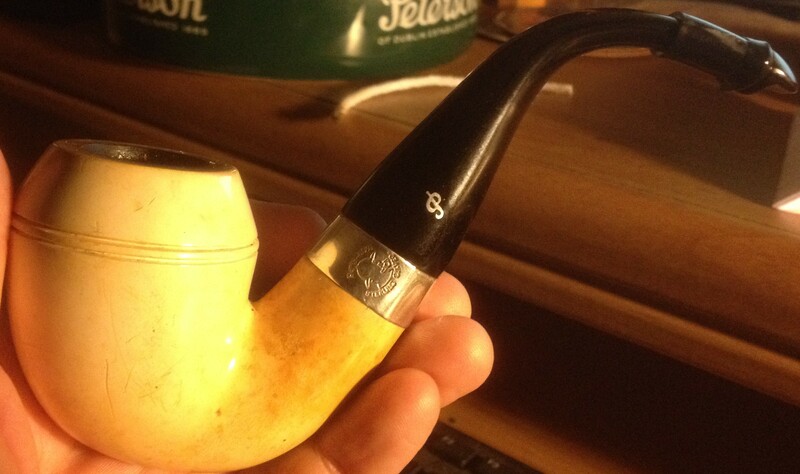 Having some VaBurPer in the Peterson Baskerville Meer. Sunny and 74 degrees on the back patio, heading out with the dogs and a cigar. Having some afternoon English in the paneled/lattice meer. 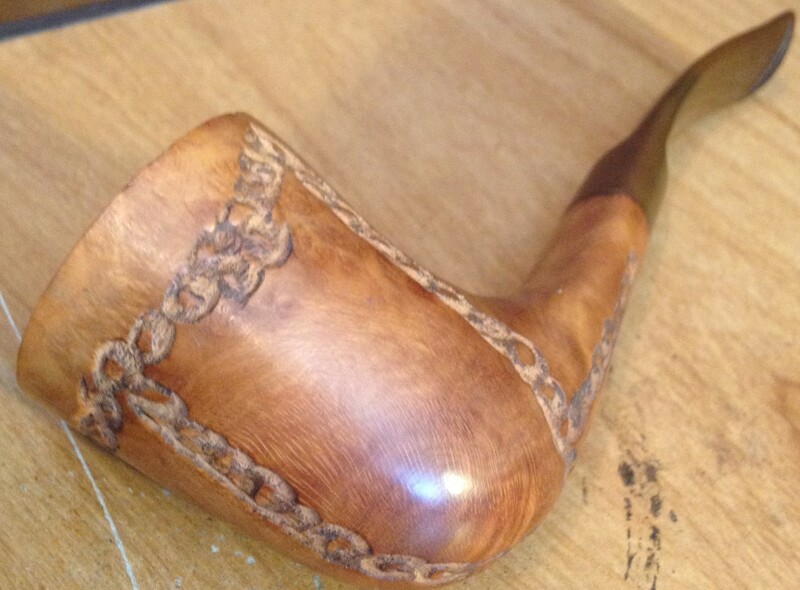 Love the looks of that pipe,... the shape, the coloring, the band, pretty much everything! 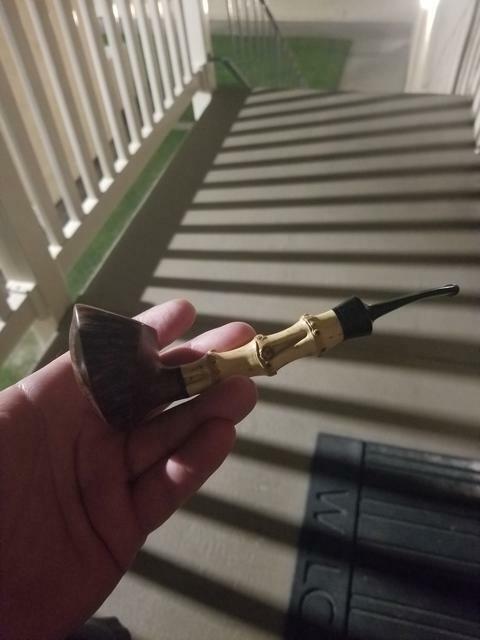 Of course I'm an old Peterson junkie anyway. 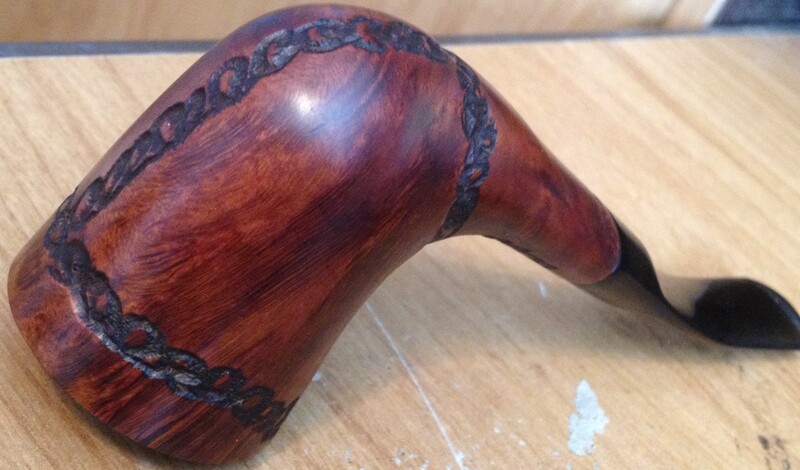 I really like that shape and the bamboo shank, very unique!